A liquid facelift may sound scary but it’s genuinely not! This is a non-surgical procedure that is used to give a natural looking lift to the face that is only done by experienced injectors using Juvederm Dermal Filler. What is an 8 point Lift? 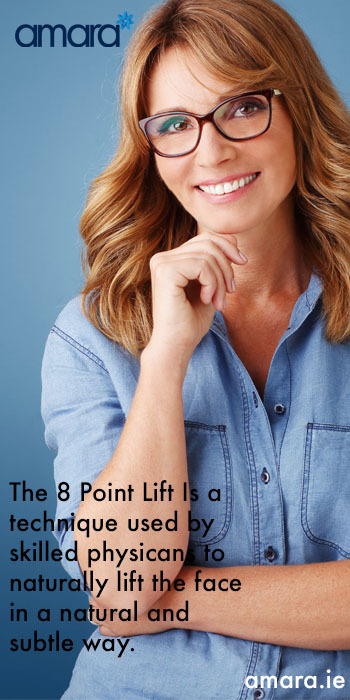 The name 8 point lift comes from the 8 points that are injected around the face for the best effect of the treatment. These 8 points are chosen specifically to lift where needed and to give the best effect for every individual. Every individual treatment is customised so all 8 points may not be necessary depending on your degree of ageing. What’s used in a Liquid Facelift? At Amara, we use a combination of Juvederm Dermal Filler (Vycross range) and Botox® anti-wrinkle injection. How much is used is dependent entirely on you and your needs and wants. Where are the 8 points? 1 & 2: Cheeks & Bone Structure: Volume is added to the cheeks to enhance your bone structure as well as restore lost volume. Lifting at the cheekbones can also lift our nasolabial folds and remove that ‘jowly look’. 3: Tear Trough: Here filler is used under the eyes to help remove hollowness and dark circles. 4: Nasolabial Fold: Adding filler here as well as the around the cheekbone area and lift and increase volume. As we age our nasolabial area falls as it loses volume giving us a jowly appearance. 5. Marionette Lines: These are the lines around the mouth that give a downturn to the mouth. 6. Jowl area: Here the bottom of the jowl along the jawline near the chin, is injected to improve jaw definition. 7. Jawline: Our jawline is injected to enhance the structure and definition of our jaw. 8. Lower Cheek: Here we add filler to the curve of the cheek. This will lift and enhance the cheek adding youthfulness to our face. 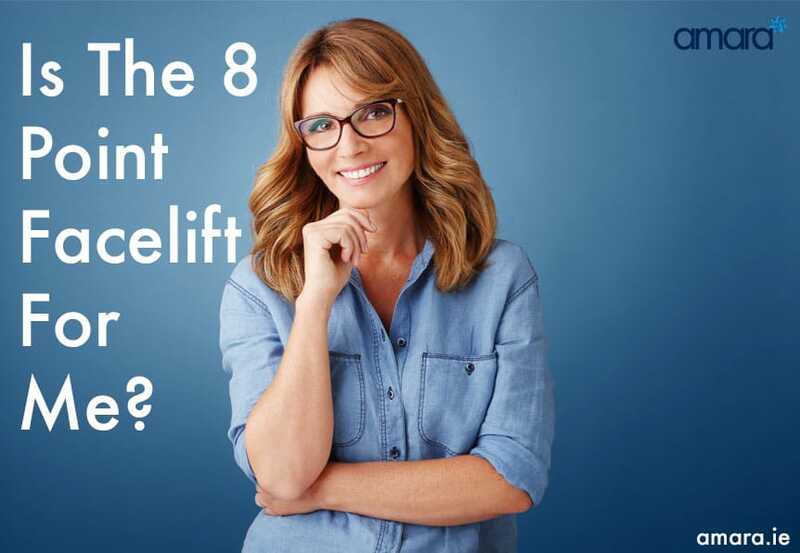 What Are The Benefits of The 8 Point Lift? Unlike a surgical facelift there is no downtime, and obviously, there is a huge cost difference. With the Liquid Facelift, you pay for the amount of solution used. The effects of filler will be seen instantly while the anti-wrinkle injection will take up to 2 weeks to fully kick in. It is a more natural and subtle way of rejuvenating the face when compared to a surgical facelift. Am I Suitable For An 8 point Liquid Facelift? The only way to know if a liquid facelift would be useful to you to come in for a consultation with our doctor. Here we can discuss whether it would meet your needs and also how much filler may be needed!